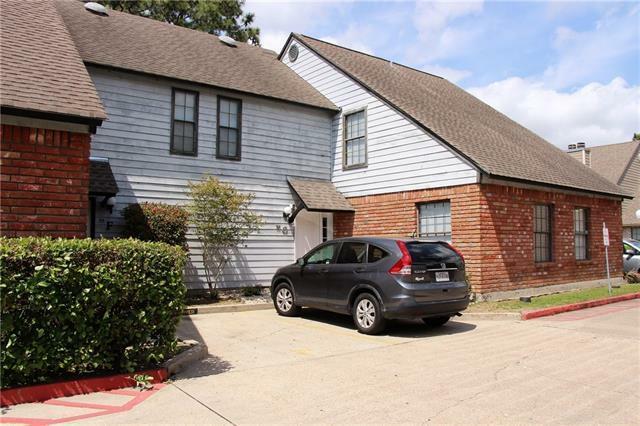 Spacious condo across from Esplanade Mall in proximity to great restaurants, coffee shops, movie theater, hospital and I-10. Freshly painted, ceramic flooring downstairs, new carpet in upstairs bedrooms. 1 bedroom and 1 full bath on first floor, huge master suite with dramatic fireplace, cozy private patio. Washer/dryer inside. Pool and tennis court on the premises. No pets, no smoking. Listing provided courtesy of Raisa Galper of Gardner, Realtors. © 2019 Gulf South Real Estate Information Network. All rights reserved. IDX information is provided exclusively for consumers' personal, non-commercial use and may not be used for any purpose other than to identify prospective properties consumers may be interested in purchasing. Information is deemed reliable but is not guaranteed accurate by the MLS or Turner Real Estate Group. Data last updated: 2019-04-24T06:34:35.943.